The real struggle that I have had since coming to Dublin is finding a hairdresser that understands me, my hair, what I want and what I need. I was spoiled for over four years when I was in university in Limerick by my regular hairdresser who just understood my vibe, and I haven't really gotten that same experience since. I have had lovely hairdressers since I came up to Dublin- but three hairdressers in a row either left the salon I visited or left the country(!) and I always felt like I was starting back at square one again. I've been searching and searching for one person to just get on my wavelength, to understand the results I am trying to achieve and what would work best with my hair type, and I think I found that person today. Now, here's the thing. I'm very fussy with my hair. I spend a considerable sum of money on treatments and hair products and the like, it's my thing. I'm not into fashion or clothes but I love to have my face and my hair in good order. If I am just getting a blowdry, I'll go to any salon, but when I am getting my colour tended to, I like salons that use L'Oreal and Kerastase products, I always feel like my hair looks better after these, so I do prefer to go to salons that stock these products as I just prefer them to Redken, Wella, Joico etc. I don't have an aversion to Peter Mark just because it is a chain but I have to say, Peter Mark's sly price increases (actually advertised as price reductions yet the cost of a full head of highlights hiked up by about €30 in the space of a few months), coupled with the fact that on my last visit no less than FIVE different people (four of whom were junior stylists despite me specifically requesting a senior stylist when I made my appointment) handled my hair for one simple set of bog standard meche highlights. It just infuriates me too much now to go to Peter Mark where I genuinely feel like nobody has any ownership over your hair and you are just treated like a commodity from start to finish. I vowed that that last trip was my last trip aboard the Peter Mark conveyer belt. The last time I was really 100% happy with my hair colour was when I went to the Style Club- which for those of you not in the know, is a branch of Peter Mark with younger, funner, fresher decor and mastery of colouring techniques. I have visited both the South William Street and the North Earl Street salons but I made my appointment last minute on Saturday and couldn't be bothered trekking into town so I booked in to the salon in The Square Shopping Centre, which very conveniently opens on a Sunday. I was so disappointed with my last colouring experience in a different salon that I didn't post a single picture or mention it on the blog but I really want to let y'all know of my wonderful experience in the hands of the wonderfully capable Leanne. To begin with, we had a very detailed consultation and I explained how unhappy I was with the brassiness of my last set of highlights despite the fact that I had made it clear that I didn't want golden tones. 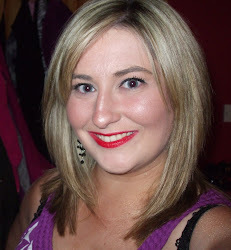 I hate golden tones in my hair, I think they look yellowy and cheap and I much prefer a cleaner blonde on myself. I used truckloads of purple shampoos to try to get the colour to lift but it did not budge. Leanne was really knowledgable, really listened and within minutes I felt like she knew exactly what I wanted, what would work for me and explained what she was going to do to lift my hair colour. I actually relaxed at this point because I just felt like I was in safe hands and Leanne had a vision which was the same as my vision. The whole way through the application of the easi-meche, we chatted about haircare, blogging, current trends, boho blowdrys (which I had never heard of)- you name it- and whilst the colour was developing, Leanne checked on it regularly to make sure it was lifting to her spec. I felt like she was invested in it from the beginning which was very reassuring and I was very grateful. Leanne then took me to the basin, rinsed the colour and applied the toner as we had discussed- again, she brought out the colour charts and discussed everything with me and I just felt like she got my vibe.When it came to the cut, I felt like Leanne listened carefully to me, discussed it with me, showed me how much she was taking off and encouraged me several times to run my fingers through my hair to see if I was happy with it. When it came to drying it, because of our earlier conversation about boho blowdries, she asked me if I would like to try one out, and I very gladly took her up on it. I haven't been able to say this for the longest time but I am genuinely chuffed with how my hair turned out, and I will definitely be popping back to Leanne in the Style Club at the Square again. I honestly could not recommend her enough, I felt like she knew her stuff, she was on the ball, she was interested and not just going through the motions and saw me through from start to finish. If you are looking for a really excellent hairdresser, look no further, particularly when it comes to easi meche which I contend are the most difficult thing to get right in terms of technicality.